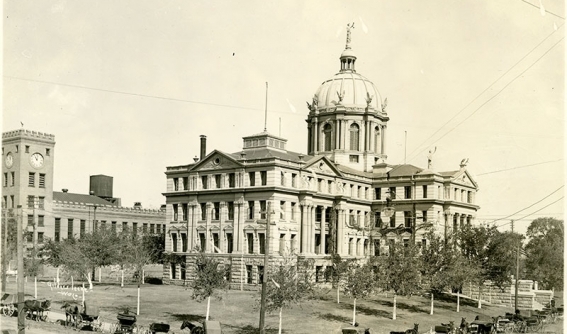 Welcome to the website for the McLennan County Historical Commission! This commission was created to provide leadership and coordinating services in the field of archeological, historic, and cultural preservation focusing on McLennan County, Texas. We are charged with the duty of implementing and maintaining programs, services and projects aimed at promoting, restoring, and preserving historically significant information, structures, sites, and landmarks in this county. We welcome your interest and invite you to learn more about our programs. 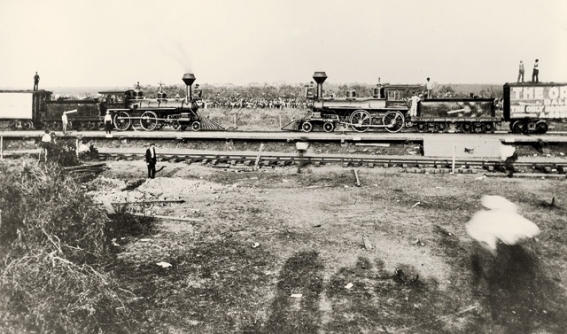 The Crash at Crush: On September 15, 1896, two locomotives hit each other at full speed as a publicity stunt in the newly created "town" of Crush, Texas, in McLennan County. 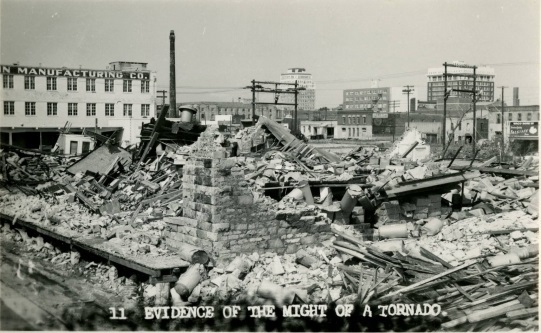 The Waco Tornado: Still one of the deadliest tornadoes on record, the Waco Tornado ripped through Waco on May 11, 1953, taking 114 lives. 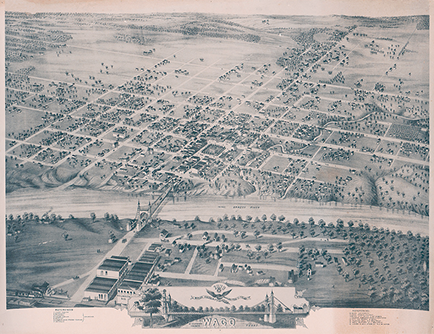 Image courtesy The Texas Collection, Baylor University. 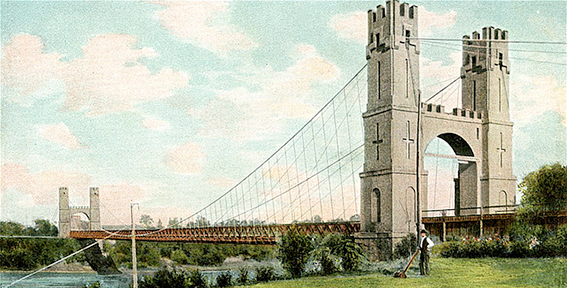 The Historic Waco Suspension Bridge shown here as it looked. Go Out & explore mcLennan county's historical treasures! Using the power of history to transform lives.